Amidst stiff competition, Kingfisher was looking to reinforce its position as ‘The King of Good Times’ among pub-hopping patrons on one of the busiest days of the year – Valentine’s Day. They needed a tactical solution. They needed a creative team who were strong in strategy as well as delivery. We assessed the situation, did our intensive research and came up with a BTL marketing strategy centered on one simple yet thoughtful concept – that every king, even the mightiest and grumpiest, needs a queen. We came up with a ‘Pick your Queen’ campaign for Valentine’s Day. Hardened beer guzzlers with grizzly edges had to, for once, clean up their act and put their best foot forward. 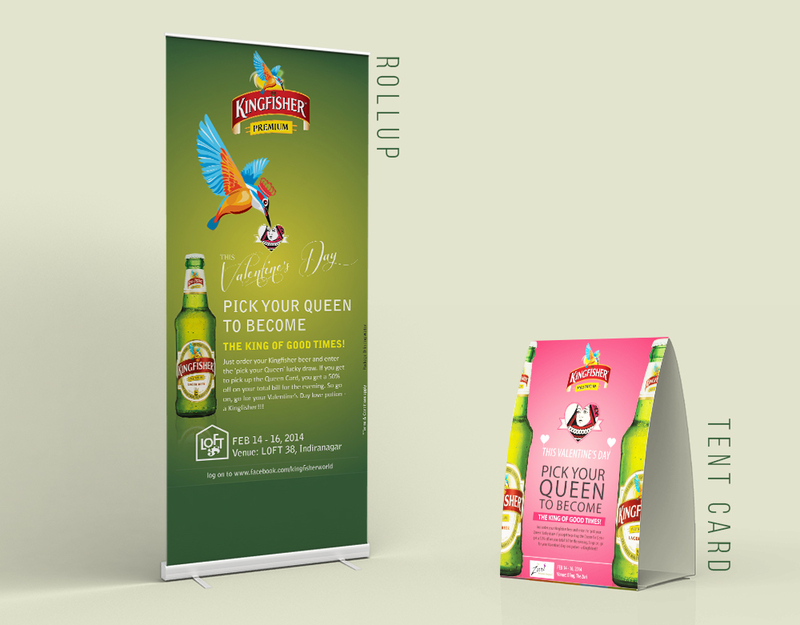 The ‘Pick your Queen’ strategy brilliantly complemented Kingfisher’s iconic ‘King of Good Times’ tagline. The line was relevant to both the occasion and the brand. Kingfisher achieved a significant amount of social media shares in the Bangalore area – a city known for its thriving pub culture. Our BTL marketing strategy generated such a buzz that Kingfisher decided to repackage and reuse this tactical marketing gimmick for multiple events like ‘Beeryani’.